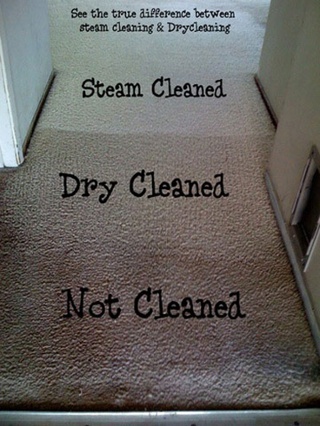 Over time, your carpets begin looking old and worn but that doesn’t necessarily mean that you need to replace them. Instead, they may just need a good steam cleaning. Once dirt and grime gets ground into the carpet fibers, vacuuming is just not enough. But, having them professionally cleaned should do the trick. You could steam clean them yourself, but hiring a professional carpet cleaner offers more benefits. They have industrial grade equipment that will do a better job of removing the ground in dirt and stains. They have the experience and knowledge to choose the best cleaning supplies and method based on the type of carpet you have. This allows them to clean them without causing damage to the carpet fibers. Many home carpet cleaners will leave your carpet wet, which can result in mold and mildew growing under the carpet. This can lead to health problems in addition to damaging your carpet, padding and floors. Professional cleaners have the equipment to remove excess water to prevent this from happening. They’ll remove all of the odors from your carpet as well as any dirt and stains so they not only look clean but they smell clean, too. You don’t have to invest your time and labor into doing the work. Cleaning carpets can be a big job but when you hire a professional, all you have to do is enjoy the clean, fresh smelling carpets when the job is finished. Having your carpets professionally cleaned will also improve the air quality in your home. If you suffer from indoor allergies, it can make a big difference in your health and save you money on doctor visits and allergy medicine. Clean USA offers professional carpet cleaning Dekalb IL and all of Dekalb County. When you’re ready to restore your carpets back to their original beauty, contact us to set up an appointment.